Dunfermline SNP MSP Bill Walker has backed calls by Alyn Smith, SNP Member of the European Parliament, for local charities to apply to a new European fund. Mr Walker said: “This is an opportunity for Fife charities and organisations to get much-needed support for humanitarian aid work. “A European Voluntary Humanitarian Aid Corps has recently been established, where European citizens can enrol to be called on in times of world crises. 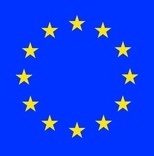 The EU has invited relevant charities and organisations to submit proposals for pilot projects as part of this initiative. “Last year I signed a European Parliament Written Declaration for the creation of a European Voluntary Humanitarian Aid Corps, and so I’m delighted things are starting to take shape. “This call for proposals signals a fantastic opportunity for Scots organisations to gain financial help on current, relevant projects. Scotland has a real culture of compassionate volunteering, and this funding will enable Scots organisations to continue or develop their volunteering efforts when times are hard. “The European Commission is one of the world’s most important providers of humanitarian aid, and this is a significant step in enabling EU citizens to engage with the valuable work they already carry out.